The Subway first appeared in "The Luck of the Fryrish" in Old New York, where Bender used it to become a train and quickly move around with Fry and Leela. 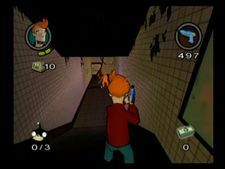 It also appeared in the Futurama Video Game as a playable level for Fry. 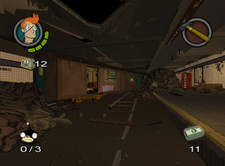 In The Luck of the Fryrish and the Futurama Video Game the Subway appears to be in Old New York and under the Sewers, but at the end of the Sewer level in the video game, Fry goes down to the Subway then back up to Old New York, meaning the Sewer and Subway could be directly connected.